Hey guys! 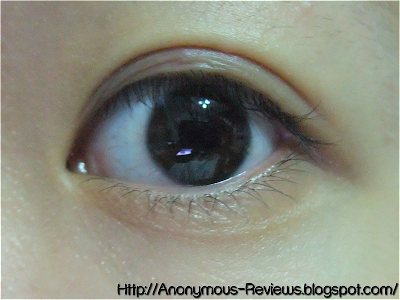 This post will be on Frequently Asked Questions on everything you wish to know about using Double Eyelid Tapes. If you have any other questions not addressed below, please feel free to post it in the comment section and I will be sure to answer them ASAP. If you have not seen my previous post on Double Eyelid Tapes Application and more info, I’ll link it right here for you guys to check it out. 1) Why are double eyelids such a big thing in Asia? 2) Is double eyelid tape safe? 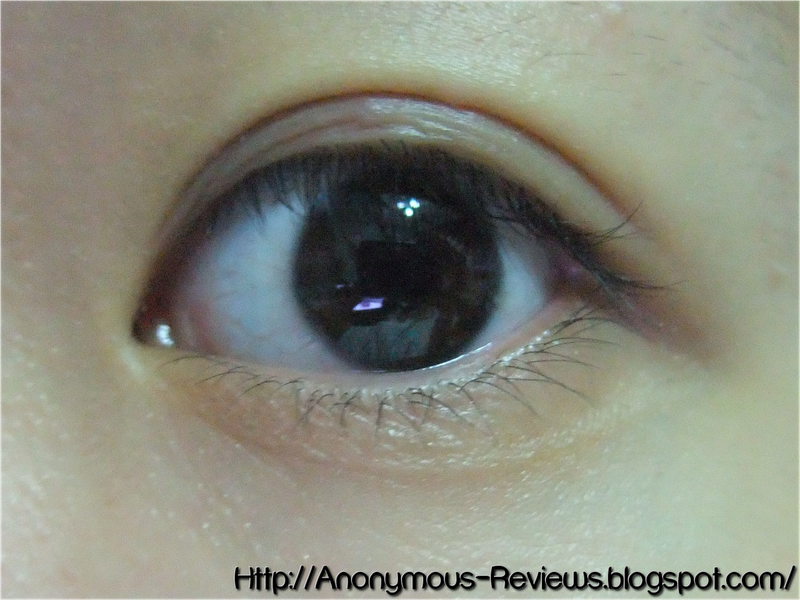 3) Will double eyelid stay permanent? 4) Are there certain eyelids that will take longer to get permanent? 5) Can I still change my fold or am I stuck with my current fold forever? 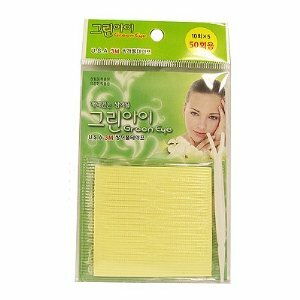 6) Will double eyelid tapes cause wrinkles? 7) Can I reuse the tapes? You might have heard of it that in Asia, beauty is a huge thing. And that is pretty much true. Many Asians especially the Chinese, Koreans and Japanese have monolids and I have them too. What we have with monolids is that they make your eyes look really droopy and unfriendly. When you apply eyeliner it smudges everywhere and when you smile your eyes disappear. I was actually influenced by my friend who taught me how to use it, and I was instantly hooked. If you are interested to kinda change how your eyes look then feel free to try it out. 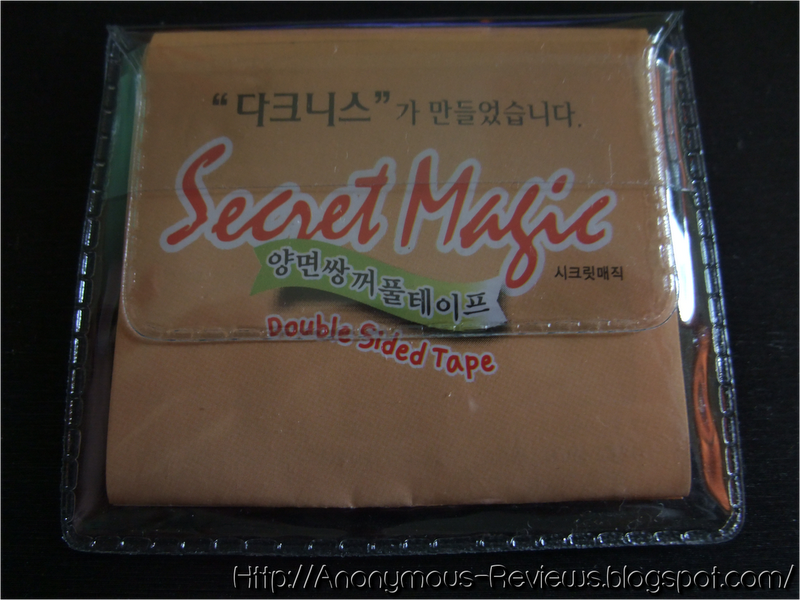 These double eyelid tapes are definitely safe as long as the basic sanitary procedure is followed. In my opinion as long as you change the tapes every day, prevent from scratching your eyes, trim the tips so the tapes are not poking or irritating your eyes and if you experience rashes/ itchiness, just let your eyelids breathe by not using it for the rest of the day. Yes and no. I’ve seen other girls who wore double eyelid tapes for a year and their eyelids became permanent. I have been wearing them for around 3 years and I still do not have permanent double eyelids. However, I do not have to wear them during the day. I only wear them during the night because my eyes are closed for long hours and when I wake up, my eyelids ‘forgets’ the folding and they become monolid again. But yes there are girls who got their eyelids permanent after using these tapes. Girls with eyelids that already have a slight fold on them will get their double eyelids permanent faster. Because their eyelids do not have enough support to create a deeper fold, using the tapes as a support and help deepen the barely there fold. Girls like me who has an entire clean canvas to work on will naturally take a longer time. People who have thin eyelids will also achieve permanent double eyelids faster than people who have thicker eyelids. Thicker eyelids tend to not ‘remember’ the line or fold very well. I have thin eyelids therefore my eyelids are now semi-permanent. 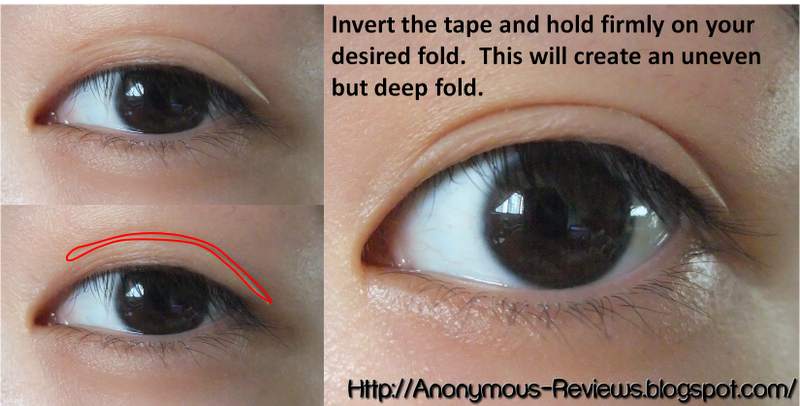 With double eyelid stickers, any fold, whether natural or achieved by using tapes can ‘edit’ their folds. 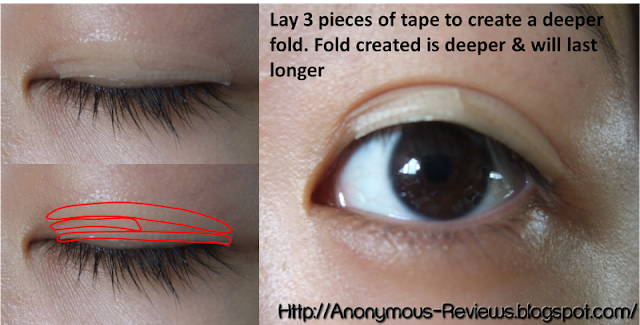 Just apply double eyelid tape to your ideal crease and when the line gets used to the line, it will stay there. With these tapes, you can change your fold anytime. I do think double eyelid tape will cause premature wrinkles if you remove it too harshly. 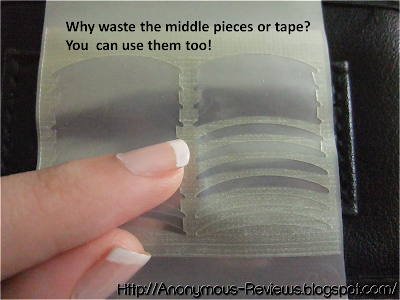 I always wet the tapes with water because water makes the tape lose adhesion immediately, before gently peeling it. If you are using double eyelid glue, use some makeup remover or water to loosen the adhesion. My friend and I did it before by using the same tape for 2 days (I did not remove it for 2 days) so I’m very sure what is going to happen! I know the tapes aren’t cheap but it is really unhygienic to reuse them. The oils from the eyelid will make the tape super sticky and goopy after a day of usage and give your eyelid rashes. I’ve tried it many times and on the second day, there are always rashes so I do not recommend reusing them. This is the end of the very long post! 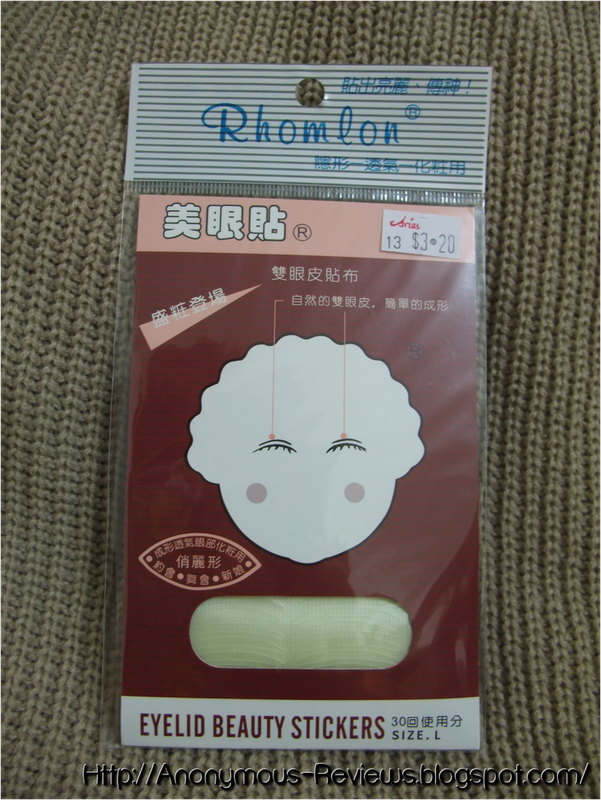 I hope you do gain some insights with the different double eyelid tapes and their application. I also hope that I have answered some of your question regarding usage of these tapes. Please take note that I am not encouraging people to use them but just giving my 2 cents on them and if you do have any other questions please feel free to ask me in the comments below or email me. I will get back as soon as possible. As always thank you for reading my blog! Have a beautiful day ahead! 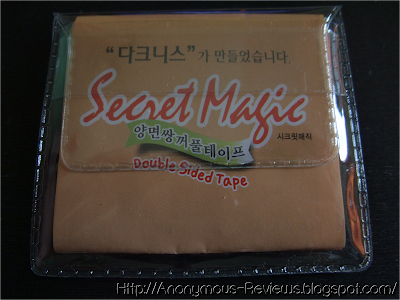 Today’s post will be all about Double Eyelid Tapes. 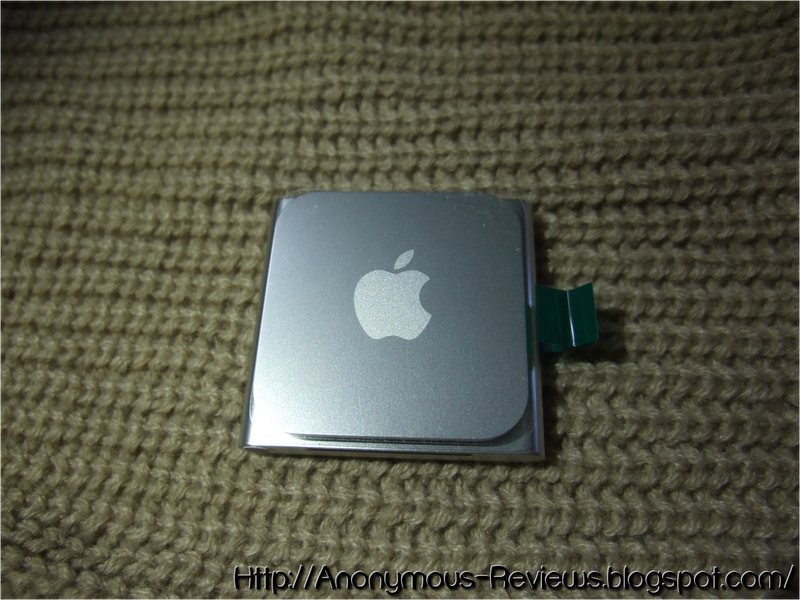 If you guys follow my blog you know that recently I got my laptop hardisk replaced which means that all my reviews that I haven’t posted up yet were deleted. This post is also one of those that was deleted so I’ll try my best to rewrite it as close to my memory as possible. I have been a double eyelid tape user for years now, so I do know some tips and tricks on using it. 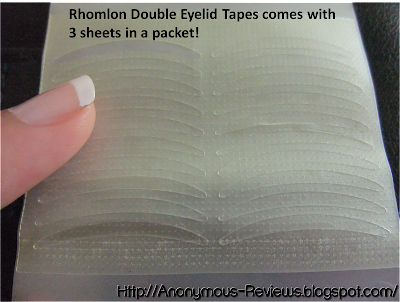 My favourite brand is Rhomlon Double eyelid tapes which comes with 60 tapes (30 pairs) per pack and are available at all Aries or any Asian beauty supplies store. I’m not really sure if it is available outside Singapore though. Double eyelid tapes are a really big thing and controversy I should say in Asia. Many Chinese, Koreans and Japanese have monolids so by using double eyelid tapes; we are able to achieve a temporary solution. I’ll go through the different kinds of eyelids. 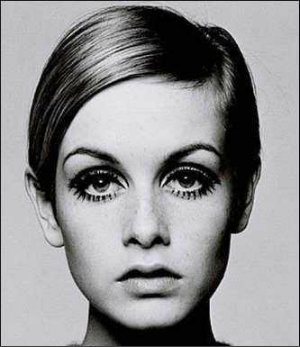 There are mono eyelids, tapered double eyelids, parallel double eyelids and crease eyelids. I’ll put pictures below to illustrate my point. Crease eyelids are where the double eyelid is on the crease, this is very umcommon in more oriental eye shapes. Most Chinese, Koreans and Japanese have either mono, tapered or parellel eyelids. There are many types of devices to create double eyelids. The most common types are Double eyelid tape, Double eyelid glue, Double eyelid clamp and Double-sided eyelid tape. Double eyelid tape is sticky on one side, after placing it on the area where you want your ideal fold to be, the sticker will create a temporary crease which resembles a double eyelid. 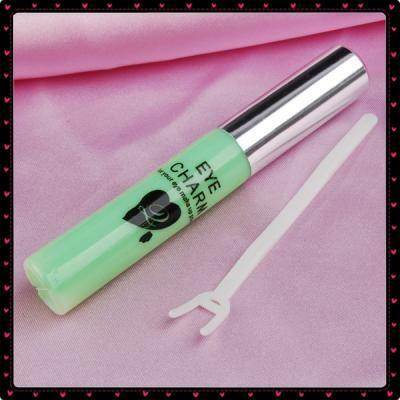 Double eyelid glue is similar to a double eyelid tape, instead of a tape, adhesive glue is applied on the ideal fold. The glue will then stick to both sides of the eyelid to create a fold. I’ve used glue in the past before but in my opinion, they are risky and unreliable. If water touches the area, the glue loses adhesion immediately. The folds created are also shallow. Double eyelid clamps are very popular in Taiwan. 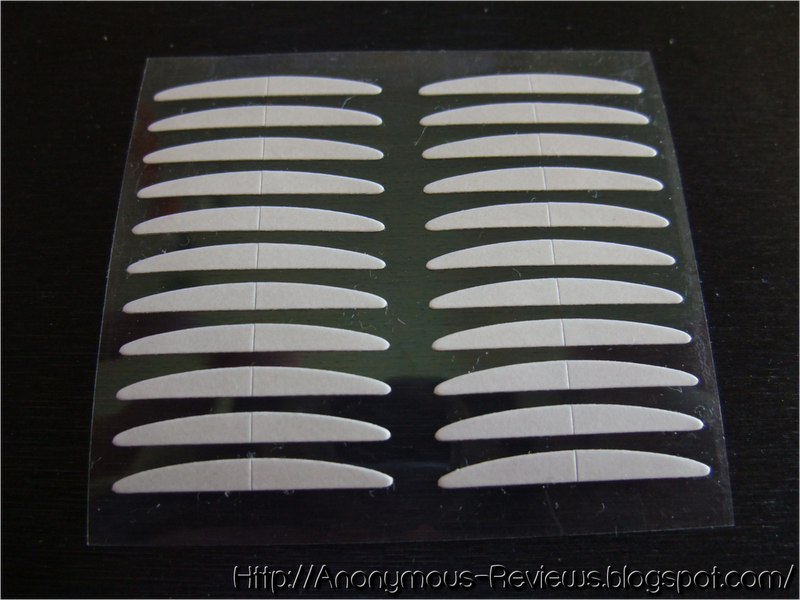 These clamps are places on the eyelids to apply pressure and create a temporary fold. I personally do not recommend this method. The fold created is very shallow and lasts for only a few minutes. The device tugs on the eyelids and it may cause premature aging and even swelling of eyelids. 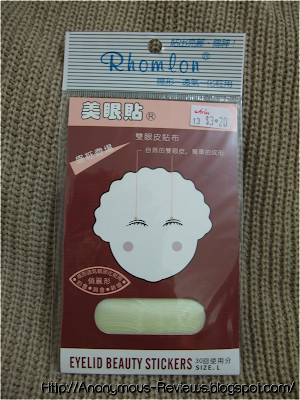 The Double-sided eyelid tape is a new kind double eyelid tape that was introduced into the market a few years ago. They are more expensive than traditional tapes but these babies are sticky on both sides and aren’t as obvious as the traditional ones when wearing them. I got mine from Sasa for SGD$4.50. 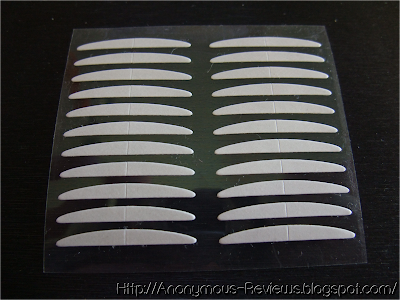 I will now introduce to you guys the various ways of applying double eyelid stickers to achieve a fold. Please be mindful that I am no professional at double eyelid stickers so please forgive any mistakes and if you do have any more methods of application, do leave it in the comments below. This is my eye with nothing at all, no tapes or makeup. I’m pretty sure everyone knows how to do this method. The traditional method is the most basic and easiest step of all. This method can be achieved by applying the tape directly below the ideal crease you are creating. The application of this method is fairly similar to the above traditional method. The only difference is to stick the tape inverted. This is very suitable for peeps whose eyelids do not have a slight fold at all as this method cuts horizontally into the eyelids and creates a very deep fold. However application is very tricky and the fold may not be the best looking. 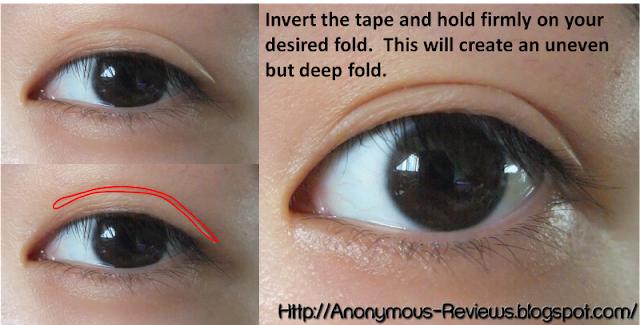 I created this method because I find that just 1 double eyelid sticker does not provide enough lift to create a deep fold. 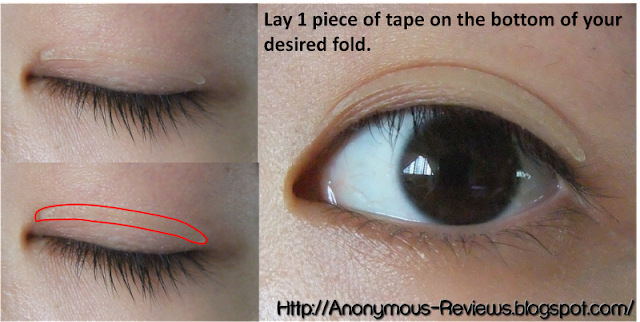 For me using the traditional method the double eyelid tape is just sits on my eyelids and not creating a ideal fold. 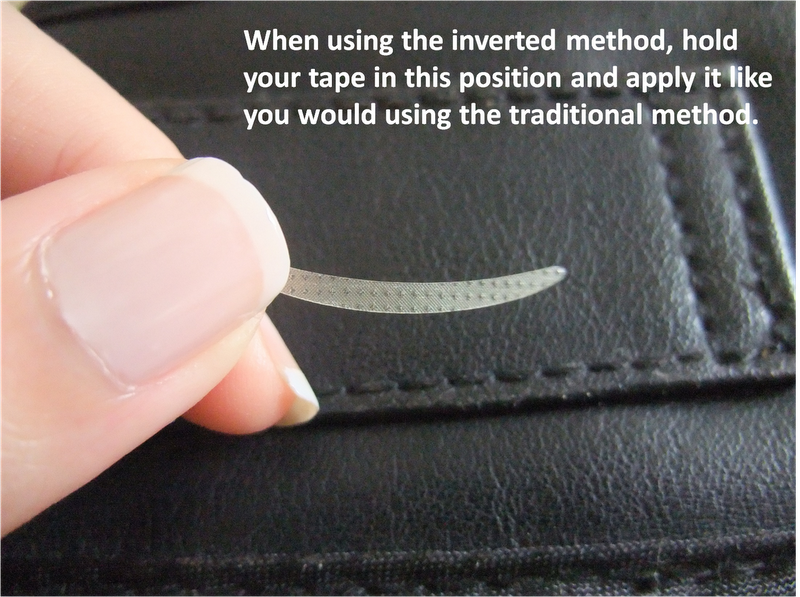 As seen in the pictures, this method of applying the tape is pretty obvious therefore I only encourage applying this at night or during days where you are staying at home. This can increase the speed of getting your doubles to stay put without support. This is by using a double-sided eyelid tape. The fold created is pretty deep and it stays all day. The adhesion power of the tape is very strong and reliable so I highly recommend everyone to try it out. But please be aware that it may be unsightly when looking downwards because your eyelids are stuck together. This is also the reason why I refrain from sleeping in public because my eyelids look freaky. FAQs will be uploaded tomorrow...Stay tuned! Hey guys! Sorry for missing in action for such a long time, I just finished my finals so I wish to you guys an update that I am still around and I will be getting on track hopefully by tomorrow. Since I am now on my holidays, I will be updating with reviews and fashion hauls very often so do be sure to check out this blog every now and then! I just collected my Apple Ipod Nano from the Apple Ipod Nano 1st generation replacement program earlier. 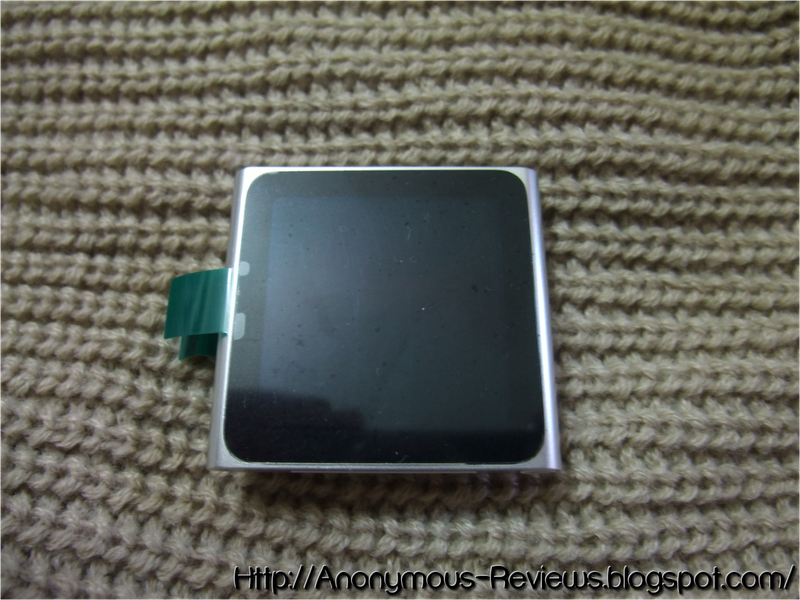 I did a blog review on it previously and I’ll link it here. 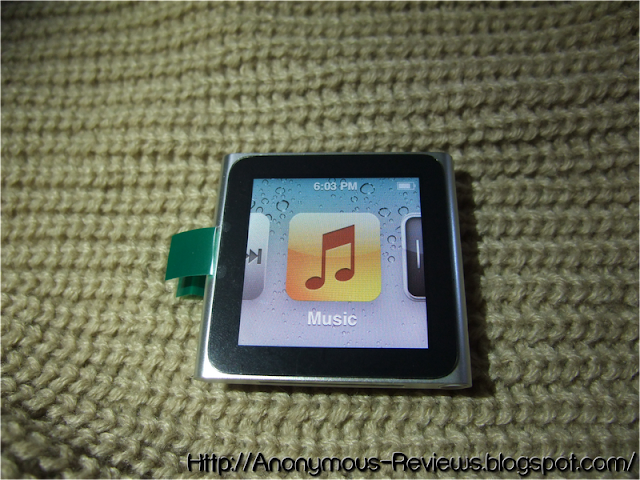 They replaced my first gen nano with the latest 6th generation ipod nano 8gb! They didn’t include anything else though. For ‘anything else’ I mean earpiece and such. It didn’t even come in a box so I was kind of disappointed with that. 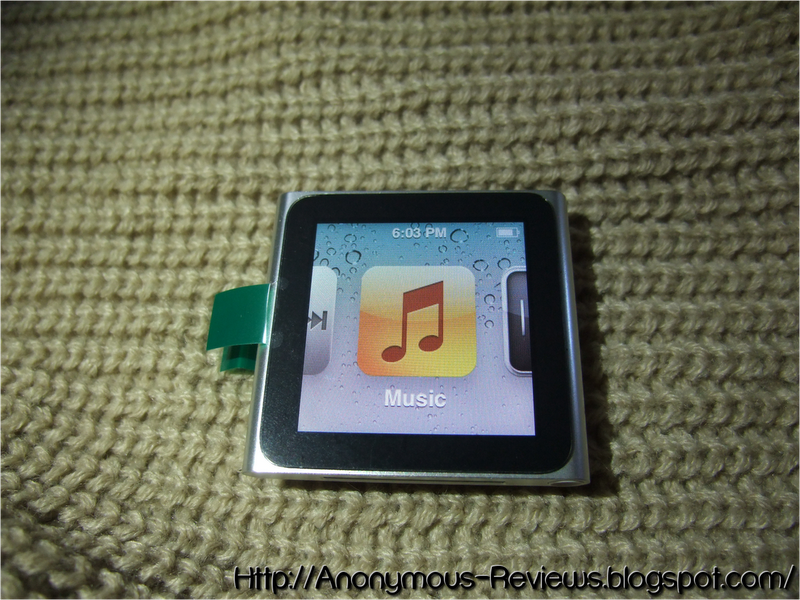 But I gained a new Ipod so I am still ecstatic about. Sorry for the short post, I am so sleep deprived right now so hopefully after I get this post up I’ll get some quality beauty sleep. I will be posting my February Haul some time this week and there are lots of goodies this month so do stay tune~!